Perhaps the greatest testament to AdSense’s success, and the greatest irony as well, is the degree to which AdSense has been corrupted by gaming of the system, abuse, and outright fraud. Eventually, the price that the advertiser is willing to pay for the conversion will decline, because the advertiser will realize that these are bad clicks, in other words, the value of the ad declines, so over some amount of time, the system is in-fact, self-correcting. In fact, there is a perfect economic solution which is to let it happen. In theory, he’s right, but theory may not be the issue. The market-driven solution will only work if advertisers are willing to play along, and as I’ve pointed before, they may not be. 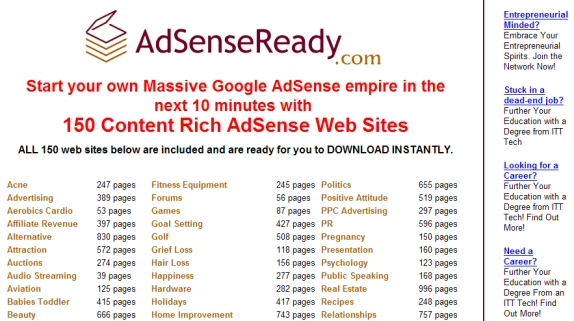 To get a sense (no pun) for how much AdSense has become an end unto itself, from gaming to outright fraud, all you need to do is Google “AdSense” and check out the ads — a cottage industry of “get rich quick” schemes has grown up around AdSense. This sale of ad-ready content sites is part of what’s killing the economics of content. 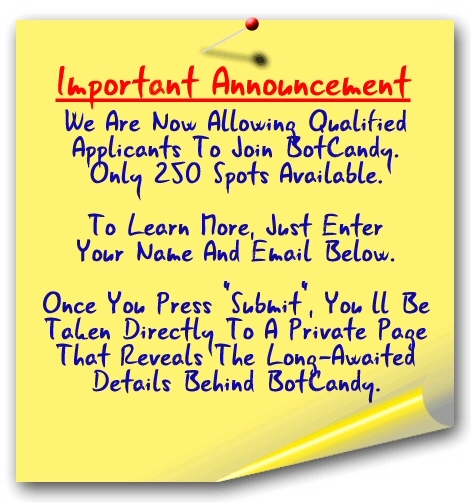 Beyond those actually pertutrating fraud (and the definition is debatable), I can’t fault all of these AdSense schemers. They saw an opportunity and they seized it. The critical question is how do AdWords advertisers feel about being part of these get rich quick schemes? From time-to-time, we improve our algorithms for evaluating landing page quality (often based on feedback from our end-users), and next week we’re launching another such improvement. Thus, over the coming days a small number of advertisers who are providing a low quality user experience on their landing pages will see increases in their minimum bids. It is important to note, however, that the vast majority of advertisers will not be affected at all by this change, as they link to quality landing pages. It’s unclear whether Google intends with this initiative to take down the entire “AdSense Wealth Empire,” as it were. The conventional wisdom, which Schmidt follows, is that none of this really matters because the numbers will work it all out. if a site is selling advertising and needs to hit a critical mass of traffic to their site just to be able to sell advertising, they arent going to care how they get it. As long as the CPC is reasonable versus their traffic needs. clickfraud actually does them a favor. They buy cheap keywords in huge quantities. At a nickel a click, if they are selling CPM based advertising, its obvious what they have to sell their advertising for to get their moneys worth. And doesnt Google now sell CPM based advertising ? So is it possible a click through from a Google ad to a site selling CPM based advertising from Google could be clickfraud that pays Google twice. Remember this. The worst bad guys are the smartest bad guys. They use the strength of the CPC system against the advertisers , where they are least susceptible to be discovered. clickfraud is real. its not going away. Its making CPC sellers a lot of money. How much, i dont know. In other words, there are many reasons why a business’ ROI on its Google ads might go down, and clickfraud is just one of them. So if a business were to attribute its reduced ROI to increased competition for a particular term as opposed to an increase in clickfraud, it might actually make economic sense to bid up that term even more. That would put more money in the click fraudtse’s’ pocket. Rather than be self-correcting, in such a scenario, click fraud would actually be self-perpetuatiing.